Expand your mind and chase your blues away! When it comes to treating depression, there are a lot of strange cures to be found. There’s blue lights and chocolate. If those don’t work, there’s always electro-convulsive therapy, or shock treatment. If that doesn’t work, there’s… magic mushrooms? Yes, according to new research conducted at Imperial College London, psilocybin or magic mushrooms may be able to treat depression by altering the brain chemistry during use. During the study, 30 healthy people were given a single dose of psychidleic mushrooms while hooked into an MRI to study the effects on the brain. 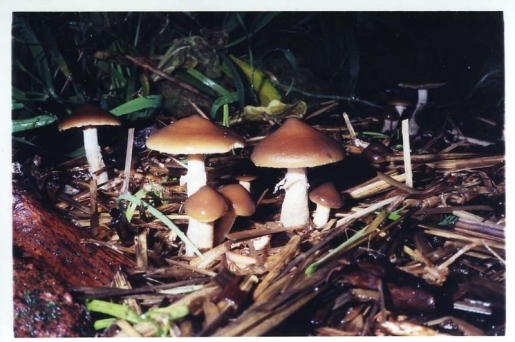 Some six months after receiving that one dose of psilocybin, the people treated had lower depression scores. (The study appeared in the Proceedings of the National Academy of Sciences.) In a second study to be published Thursday in the British Journal of Psychiatry, 10 people who received a dose of psilocybin had immediate improvements in memory and personal well-being for two weeks after the dose.